Thank you for your DVD order. If you have paid by credit card you should soon receive payment confirmation from Paypal. If you prefer to pay by check, please print out this form and mail back with your check. Your DVD(s) will be mailed to you in July. 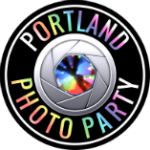 If you have any questions, please email: info@portlandphotoparty.com.